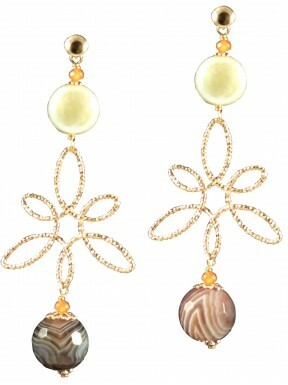 Earrings - Luisa Della Salda s.r.l. Earrings There are 235 products. 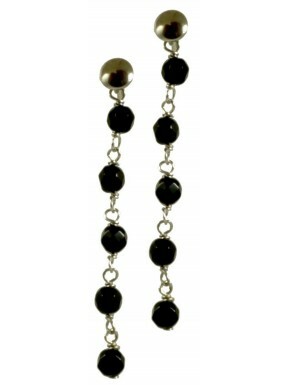 Minimal earrings with 5 chained black agate round beads in 925 rhodiated silver. 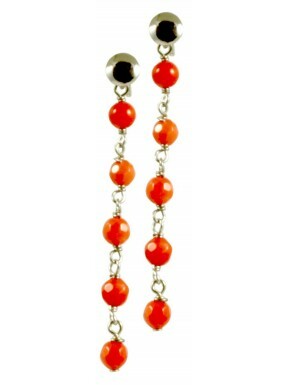 Minimal earrings with 5 chained rhodiated agate round beads in 925 rhodiated silver. 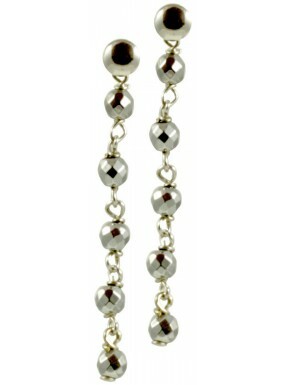 Minimal earrings with 5 chained bamboo round beads in 925 rhodiated silver. 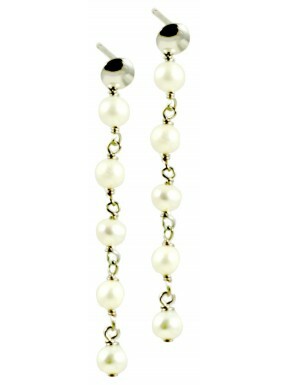 Minimal basic earrings with 5 chained white fresh water pearls in 925 rhodiated silver. 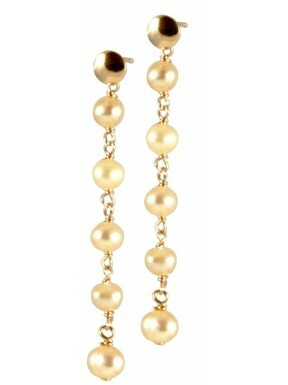 Minimal basic earrings with 5 chained pink fresh water pearls in 925 pink gold plated silver. 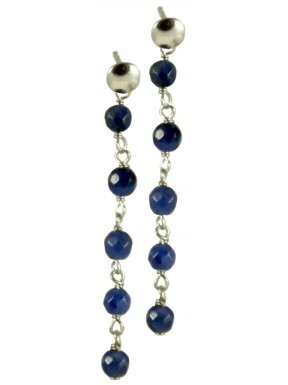 Minimal earrings with 5 chained sodalite round beads in 925 rhodiated silver. 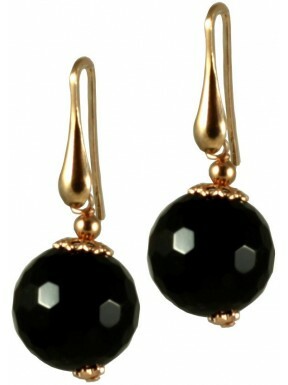 Minimal earrings with black agate round beads in 925 pink gold plated silver. 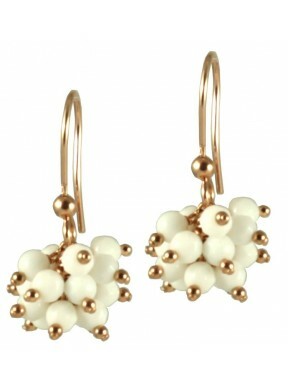 Minimal earrings with white agate ponpom in 925 pink gold plated silver.